Power outages are a periodic problem that we all need to deal with. Being prepared when it happens is the best way to make it easier to get through until the power comes back on. 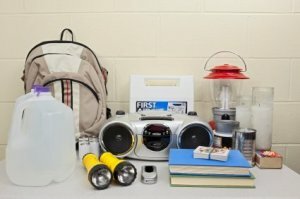 This is a guide about preparing for a power outage. Our family recently survived a lengthy power outage after a major ice storm. We really did not find it that difficult to do, in part because we were prepared ahead of time. However, some of our neighbors who were not prepared ended up staying at a hotel for several nights, at the tune of $65 per night. I am passing on some of the ways that we stayed warm for our week without power. The most important factor is that we prepared. For 3 days, the weather forecast warned us of a major ice storm heading our way. We decided then to prepare for the worse case, and it paid off. We brought up firewood from the barn. We laid out wood in the fireplace and filled the inside firebox. We also filled the wood holders on the front porch with wood, and also stacked it beside the holder. 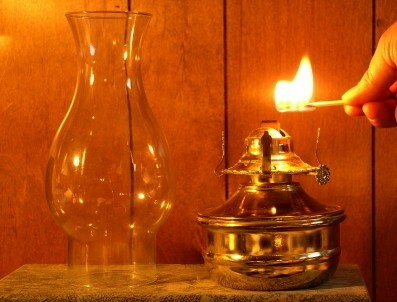 We stocked up on lamp oil, and brought out the lamps and candles stored in the basement. We made sure we had plenty of batteries on hand. We charged our rechargeable lights, lanterns and radios. I filled several containers with water in the event the water company also lost power. If they did, we would lose water pressure, then lose our water completely. We all took a shower as the ice storm started. May seem silly, but knowing it may be awhile before we could bathe again, we opted to start out smelling sweet! I also made sure the laundry was all caught up and the house was clean. I made sure we were stocked up on animal feed. We put extra straw in the rabbit hutches and chicken coup in the event they lost their heat lamps. We stocked up on foods that we could prepare over the fireplace. This included s'mores, hot dogs, popcorn, hot cereals, soups, and stews. I bought some extra milk and put it in the freezer, and also bought more powered milk. I washed and re-seasoned the cast iron. We brought in the hot dog and hamburger holders from the camper, as well as sleeping bags. We backed our vehicles into the garages and barn. My husband plugged in the tractors and made sure they were fueled. We brought up the board games from the basement, and restocked ourselves with books from the library. I made sure our cell phones were well charged. I bought on clearance a power strip to plug into my car's cigarette lighter. In turn, I could plug an item into it to recharge, such as a lantern or cell phone, or even my laptop. Then we sat down to wait. The ice started falling around 10 in the morning. It was rather pretty as it coated the trees and fences. By evening, it was very slick to walk on. We still had power when we went to bed at 11 p.m. We did not turn down the thermostat before bed as normal. My rather wise husband said, we needed to keep as much heat in the house as possible, so instead we turned it up. At 3 a.m. I woke up to a chilling house. The inside temp was 65. It had been 70 when we went to bed. My nightlight was not on. The power was off. I woke up my husband and he immediately got a fire going in the fireplace. We kept the fire going, and managed to keep the house at a steady temperature of 65 to 67 degrees. It is much easier to maintain the temperature than it is to warm up the house had we not gotten up to light the fire. We let light in through the south windows, and blocked off the north ones with curtains, as their was a strong wind coming from the north. For entertainment, we played games and read. I had my children take a warm bath each day, as we still had hot water as we have a gas hot water heater. This helped keep them warm and they thought it fun to have a bubble bath by candle light. Our children slept in their sleeping bags in the living room by the fireplace. My husband and I stayed in our room, which is just off the living room as we could still get some heat from the fire. In addition, we have a heated water bed, and by keeping the bed made, and sleeping on top of an extra comforter, it held its heat and kept us warm. Since we still had hot water at this point, we had lots of hot tea and hot cocoa to drink and help keep us warm. I did the dishes by hand after every meal with warm water to help keep me warm in the kitchen. I did it in dishpans, and saved the water. It went into containers in the garage and one of the bathrooms. We kept the water at a very slight trickle to help prevent the pipes from freezing. We dressed in layers. Sweat pants are much warmer than jeans. We wore 2 pairs of socks and our long johns. After our water went out, we used the saved soapy dishwater to flush the toilets with as needed. The saved rinse water became water for our rabbits, dog and chickens to drink. We did not open the freezers or refrigerators except to remove and replace food. By day 3, our refrigerators were no longer at a safe temperature, so we removed food and placed it outside on the back porch, and some in the garage. Our freezers stayed below freezing, as they have more insulation. If need be, my husband would have gone to town to buy a couple blocks of dry ice for the freezers. However, he didn't need to this outage. As I said earlier, our biggest factor in being able to ride out the power outage was preparation. Had we waited to gather our supplies after the power had gone out, we would have been doing a lot of fumbling around in the dark basement, and opening and closing the doors to the outside a lot. We would have been having to drive on dangerous roads to town for supplies and risking having an accident. These tips are in addition to the American Red Cross tips for dealing with storms and power outages. 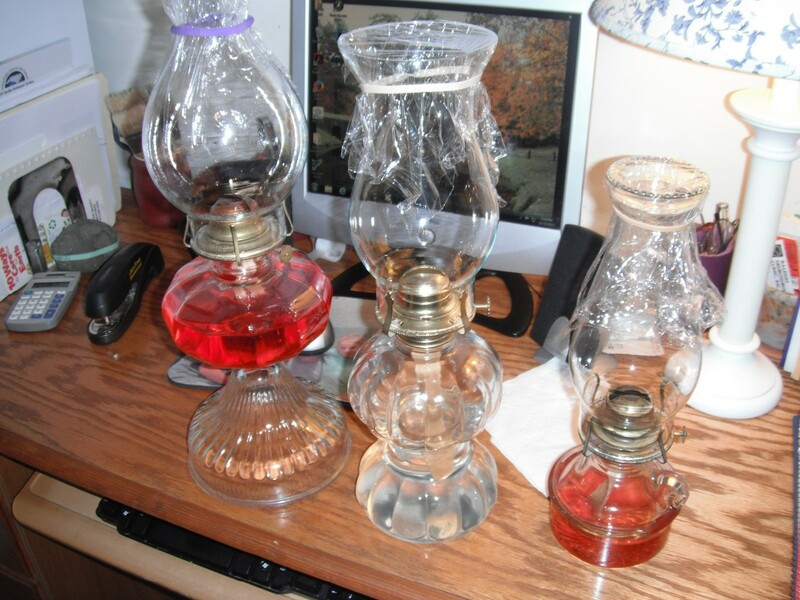 Now that the days are getting shorter, it's a good time to clean your oil lamps and get the dust off the globes. That's what I have done because, when we lose power, we have no water. If I see a big storm coming when power is most likely to go out, I do these things: Fill 5 gallon bucket with water, leave in tub. Also fill tub full of water. Both are used to flush toilet. If we are having threats of power loss, I place bottles of water in my freezer. I use 2 liter soda bottles, laundry detergent bottles, or any bottle that has a tight sealing cap. This keeps the items frozen for quite some time. Everyone's electricity goes out now and then. 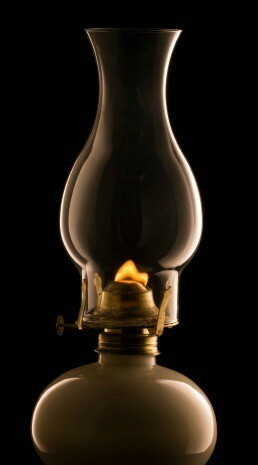 Trying to maneuver through the house with a flashlight in one hand or with a candle can be tricky and/or dangerous. When I was ordering flashlights to have on hand for power outages, I came across a lantern that runs on batteries. I thought it would be a better idea then the flashlights since it would set flat on a table. 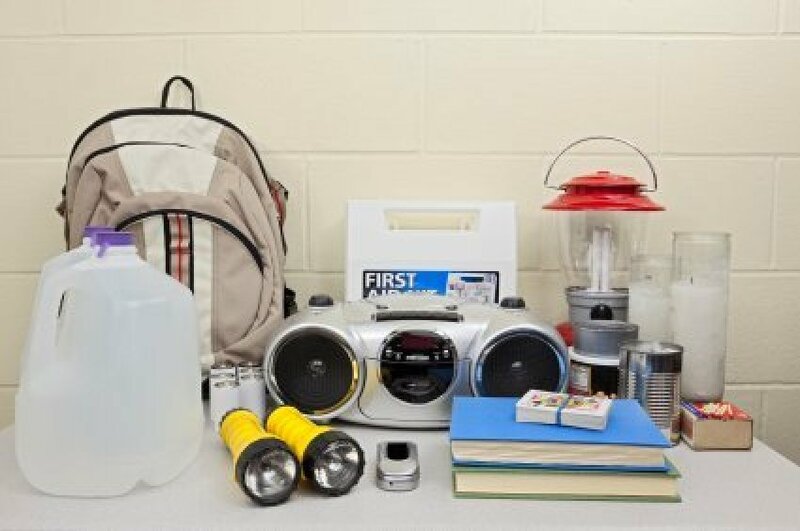 Tip: Are You Prepared for a Power Outage? Power Outage Tip: Keep at least one battery operated clock in running condition. That way you'll still be on time for work and appointments if the power goes out. I don't use candles or little flashlights. I get those big flashlights from Dollar General that take one of those great big batteries. I keep one in the living room, kitchen, bathroom and bedroom. Do you have a safety plan for events such as snow storms with power outages? What is your plan of action? Having a plan is important if you are elderly, or know of any elderly or disabled persons, people that depend on electrical devices, such as oxygen. Instead of trying to look in all areas for your emergency candles during a power failure, have a few stored in a bag with a lighter and flashlight. Hang your bag in the utility room or other out of the way spot.